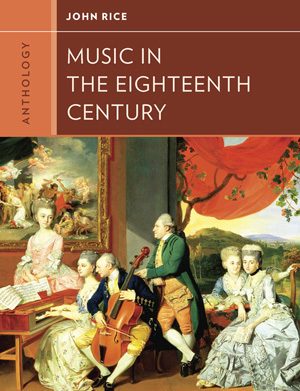 Anthology for Music in the Eighteenth Century - Description | W. W. Norton & Company Ltd.
Anthology for Music in the Eighteenth Century, part of the Western Music in Context series, is the ideal companion to Music in the Eighteenth Century. Twenty-nine carefully chosen works—including a piano sonata by Anna Bon, liturgical music by Ignacio de Jerusalem, and movements from Haydn symphonies—offer representative examples of genres and composers of the period. Commentaries following each score present a careful analysis of the music, and online links to purchase and download recordings make listening easier than ever. A concise anthology featuring a wide range of medieval music. 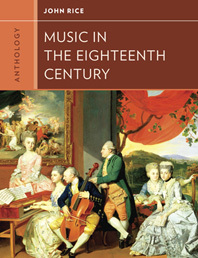 A concise anthology including a wide range of Baroque music.